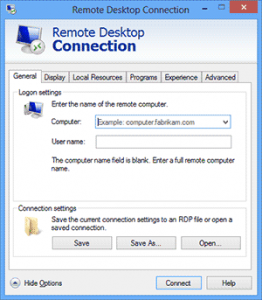 How to Use Remote Desktop On Windows 7 Operating System – If you want to control more than one monitor from your keyboard then you need to use Remote Desktop which allows you to control over another networked PC. 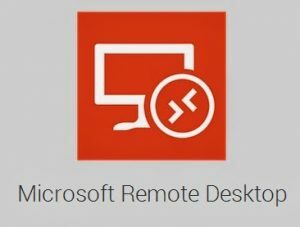 Remote Desktop is basically a connection between the PC of your network and a Remote Desktop if client. If your client is included in all editions of Windows like Professional, Home, Enterprise and any other then it will be easy to use Remote Desktop on your Windows Operating System. But the server part should be only in Professional and Enterprise Editions. So if you are ready with all your requirements then we can start the process to Use Remote Desktop on Windows 7 Operating System. So first, you need to change the settings related to Remote Desktop in Windows 7 Operating System on both monitors you use. Name the devices as Target Monitor and Connection Monitor which will be easy to name the computers to connect. So set the settings as you need to send permissions to connect target monitor and then accept the Remote Desktop Connections on your connectin computer. Now enter the IP Address of your Target Computer and then enter the login credentials and then click OK to start the process. So before connection the target computer, you need to check the version of your Windows Operating System. The target computer should have Windows Operating Systems version of Windows 10, Windows 8.1 ( Professional or Enterprise), Windows 7 (Professional, Home Premium Ultimate or Enterprise). So after you check, if the Operating System is one among the mentioned then you can start the process immediately. Open the System Control Panel on your Windows Operating System which you need to set the settings on your connectin Windows OS. In Control Panel, Choose System and Security option and then you can see Remote Settings on the left side options bar. Click on Remote Settings. You can see a new window with System Properties. Click on Remote Label and Check the box “All Remote Assistance Connections to this Computer”. 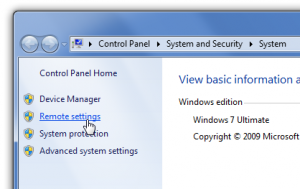 Else you can see an option like “Allow Connection only from the computer running Remote Desktop with Network Level Authentication” if you are using Windows 7 OS on both the computers. Now click on the Select Users label, here you need to add User Name and Computer which you want to add. Click on Add and then Click on Check Names. Select the account and then Click OK.
Now you need to connect the target computer to the network by following steps. Open Command Prompt and then type ipconfig and press Enter. You can see target computer IP configuration. Write the address next to IPV4 Address as the connection address need this address to connect. In the target computer go to Remote Settings and select Allow Remote Assitance Connections to this Computer. Click OK and then proceed.